You know, being a stay-at-home mum is what I see as a luxury and privilege which allows me to be with my kids 24/7. However, many a time, I end up using much of this precious time on doing the endless chores, blogging or just finding nuggets of me-time in between. I am cooking when I can bring them for some outdoor fun. I am washing the dishes when we can have our fruit dessert together. I am mopping the floor and letting the kids watch TV on their own. I am checking my emails when we can be doing some reading or writing. I am publishing a post when I can be playing LEGO with the toddler. I am playing Candy Crush or CSI when I have a moment to spare. I am staying up till wee hours to blog when I should be resting with the kids so that we can replenish our energy for a brand new day. I'm not saying that all these are wrong because chores are chores and need to be done somehow, and loving to blog or stealing some me-time occasionally are not things to be ashamed of. I'm just thinking that it's time to remind myself that the family should always take priority and I shouldn't let myself be more concerned over a stained mattress than a needy kid. Perhaps it's because of the pregnancy that makes me more lethargic. Perhaps it's because of a dear friend who reminded me that being around in social media is not as important as being with your family. Perhaps it's because I just think it's time for me to do so. This month, I tried to cut back on the chores and close one eye when I can, which means saying "It's okay" to untidy rooms, dirty floors and eating out a little more frequently. I tried to sleep much earlier and even take afternoon naps (which you must understand is not a norm for me previously) so that I wake up feeling more refreshed and ready to rock the next day. I tried to blog a little less even though I know that the passion thrives and it will remain a hobby for a long time to come. I tried to do more things not just for the kids, but with them and I must say it has been quite a liberating time for me too. In this month's "Happiness is...", it's about being truly present for my kids and the people I love. 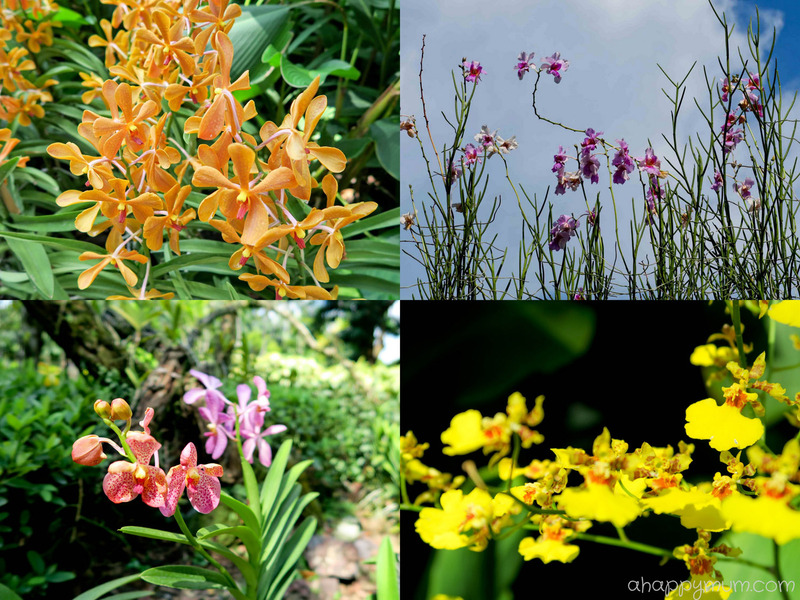 For the first time, we went to the National Orchid Garden which is located on the highest hill in Singapore Botanic Gardens. 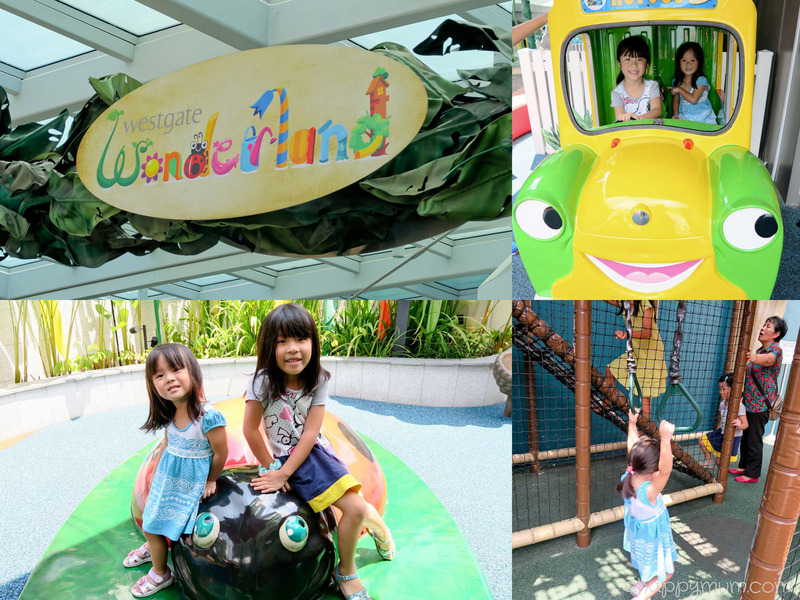 As part of the Jubilee celebration, all visitors got to enjoy free admission, hooray! While we are not fans of flowers and can't name most of them, it was definitely an eye opener for us to see over 600 beautiful species and fascinating hybrids on display. 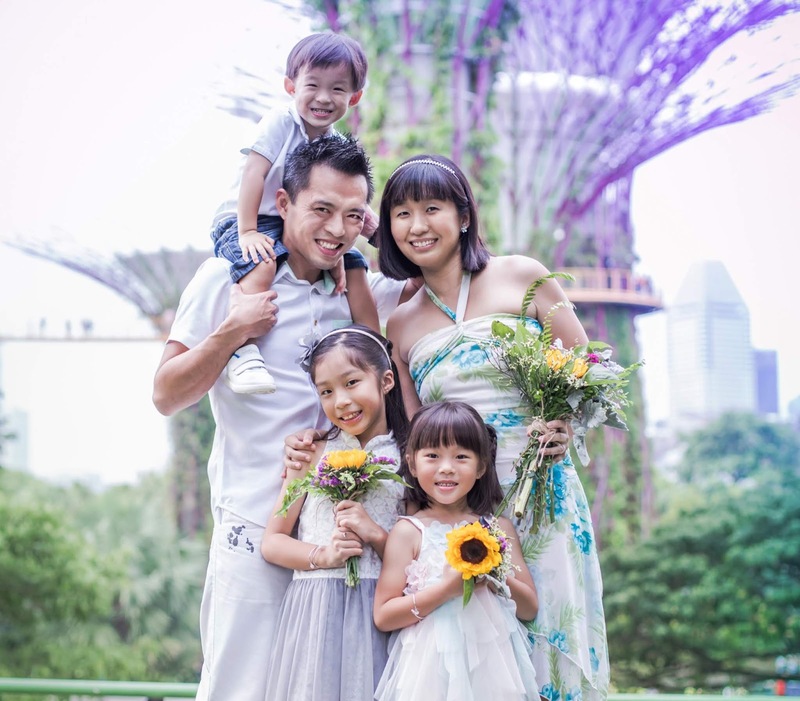 We also took the chance to introduce Vanda 'Miss Joaquim', our national flower, to the kids and told them how its resilence and year round blooming quality represents Singapore's unique culture. We also found time to sit down to feed the swans, fishes, turtles and I was amazed by how Ariel would be so fascinated by the pigeons and would go near, so very near, them and reach out her hand to feed them small pieces of bread, much to their delight. Having kids who sleep a little late means we get to go out for suppers at 10pm. Oh yeah, yummy waffle topped with chocolate ice cream and marshmallow, how sinful yet heavenly! For good or bad, the hubby and I kind of allow the girls to indulge and even when they are having a cough, we tend to close one eye and occasionally still give them sips of cold drinks or ice cream. Yup, a friend told me you can't possibly win every war so just pick your own battles, yeah? 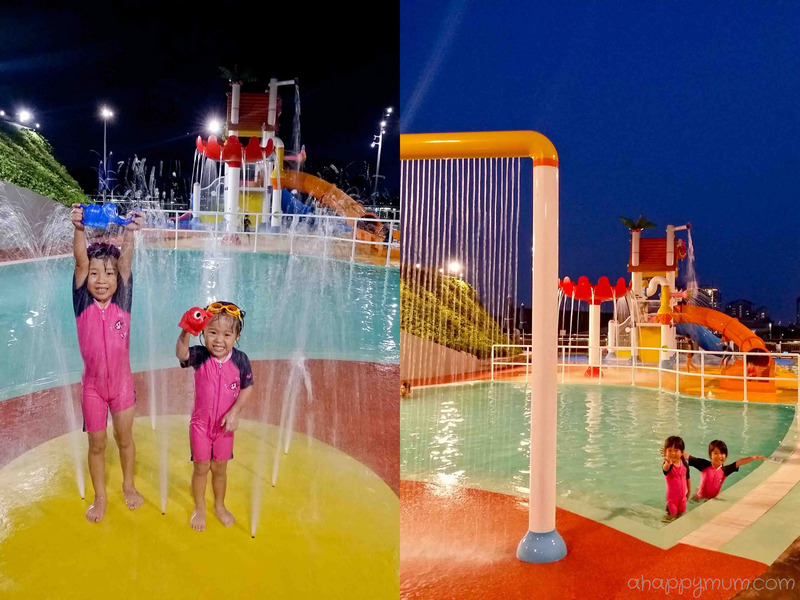 The three of us also went on our girly nights out when the hubby was busy and we braved the peak hour crowd on the bus or MRT to explore new routes, visit new shopping malls, went to a library we've never been, have some splashing fun in water playgrounds (we love Splash-N-Surf at Kallang Wave Mall!) and in the span of a month, we watched not one but two movies - Pixels and Inside Out! I'm trying my best to cherish these evenings with my two girls before the baby boy pops, which could possibly change many of the things that we enjoy doing now. 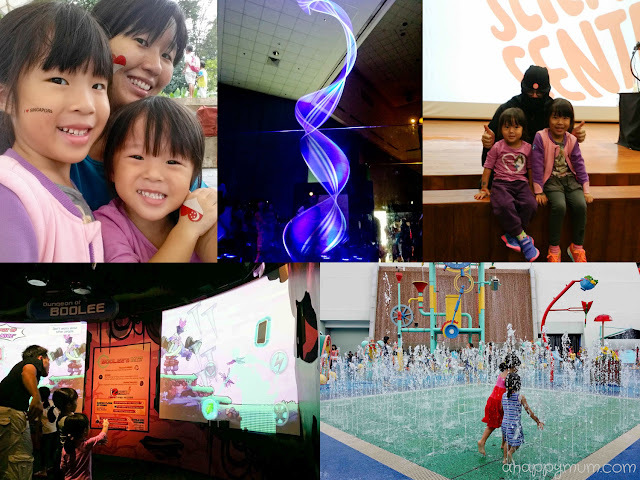 On our family weekends, we also ventured to the west including playing at Westgate Wonderland for the first time and making our way to Science Centre during the Jubilee weekend. Although we had to skip Snow City due to the 4-hour queue, the lucky thing was we did not have to queue to enter Science Centre and managed to visit Interplay - Where Science meet Arts just before the exhibition ended. The kids had so much fun just dancing and goofing around! On the eve of our nation's birthday, we specially made a trip down to Gardens by the Bay to view the special SG50 edition of Garden Rhapsody. The four of us just found an empty space to lie down, waited patiently for the show to begin and sang our hearts out when the familiar tunes like Home, Count on Me Singapore and 小人物的心声 started playing. I refrained from standing up and moving around trying to take pictures (except this one at the finale) but instead told myself to just immerse in that beautiful moment. I did. And it was so magical. 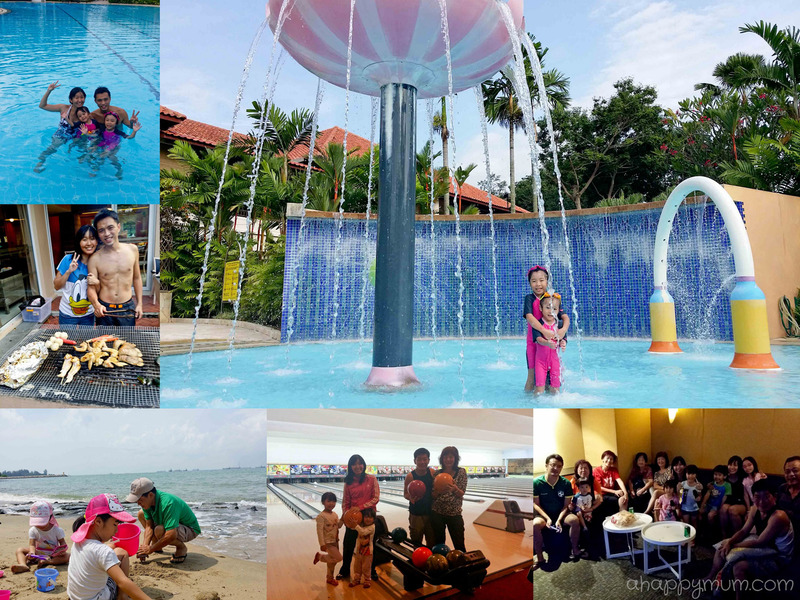 As part of our National Day celebration, we also booked a chalet at NSRCC and invited our families over. My aunt, who stays in Malaysia, and my 81-year-old granny came over for a BBQ and joined us for a mass KTV session too, woohoo! I was also over the moon to have my parents stay over with us and it was the first time in a long while that I swam with my mum. What surprised me most was how she tried to read a bedtime story (in English somemore, a language she is not so proficient in) to the kiddos and how my Dad then tried to read one in Mandarin. Plus, we went bowling together for the first time ever and my mum made us laugh out loud by sending the ball to the gutter almost every time and emerging with a grand score of 13. Those moments made me giggle so much yet warmed my heart more deeply than the scorching sun or burning charcoal. On days where we don't have idea of where to go, we would just follow our hearts and let the spontaneity take over. For instance, we went prawning and then cycling in Punggol, delighted to find the 亲子车 where our kids could sit in front of us and there were even special handlebars and footrests designed for them. 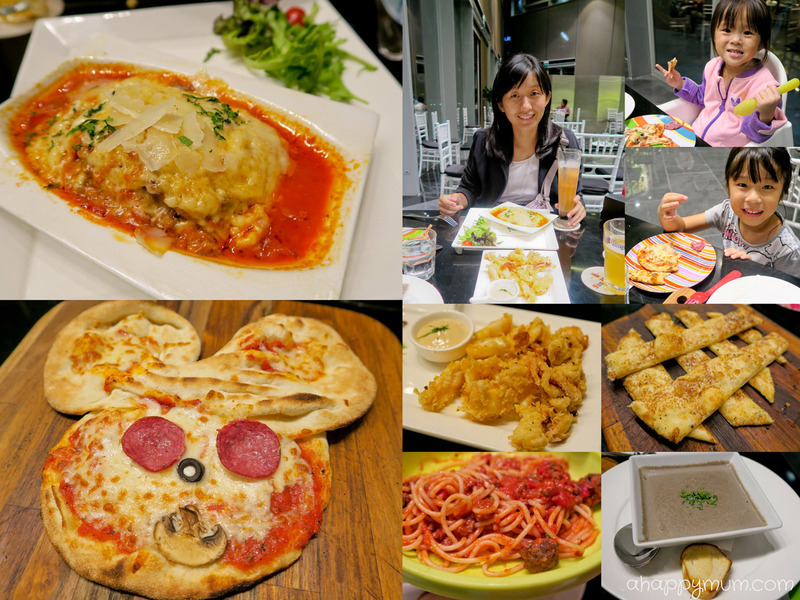 The hubby also took us to Verve Pizza Bar where I tucked into my well-loved lagsane and fried calamari while the kids had this cute looking mouse pizza. We then ended off the night with a leisure stroll by the river where we simply laid down to enjoy the peace and admire the awe-inspiring night views our city has to offer. Another happy news is that we found out that we are having a boy! While I am a little apprehensive, or even a little scared, about whether I can get used to taking care of a boy and how things are going to change in the household, I am most excited than anything on the thought of being outnumbered by the kids. Yes, this year end is going to be pretty fun and I'm glad that the girls are as thrilled as I am to know that they are going to have a didi very soon! If you have not read it, here's how I surprised the kids and revealed the baby's gender to them through this fun DIY volcano experiment. Last but not least, I think my best and most memorable mama moment this month was when my big girl learnt to cycle! I was the one who insisted on taking them cycling and even got chided by the hubby for wanting to accompany Angel, supporting her, keeping her from falling over and running behind her every step of the way. Well, better now than just before or after giving birth, right? It was my third 1-hour session with the girl and this time round, I was happy to see that she was much more confident and finally could balance and cycle on her own for a good 30 seconds! So proud of you, my dear! For me, it was also a lesson learnt because I realised I would somehow lose my patience in the middle, nag at her for not trying hard enough and even regrettably tell her how her cousins took a shorter time to master it in a bid to motivate her. As always, I realise I need to remind myself to step into the space more, keep my cool and be more loving, patient and encouraging as I try to be a teacher to my kids. Most importantly, I need to tell myself to enjoy the journey of getting there with them as we overcome obstacles one by one, and that the destination is not what should matter most at the end of the day. How was the month of August like for you? I sure hope you had a great Jubilee celebration and managed to enjoy some quality time with your loved ones too! Lovely to see you and your girls enjoying yourself so much in August. Linked up. Thanks Dom! =) Looking forward to reading about your highlights! You are truly amazing for managing to do so many things in spite of having 2 young kiddos, and another one on the way!! Being mindful of being present in whatever I'm doing is still a lesson I'm trying to learn. Our minds seem to wander in a thousand and one places and sometimes it's ironic that the simplest things to do, like just lying still and relaxing, is actually the hardest. Precisely! 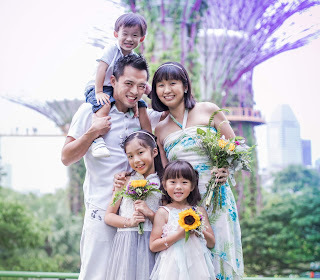 Haha, even when I am lying down beside my kids, my mind is on a million things, like what to do next for Creativity 521, what groceries I need to buy, where we should head to during the weekend etc. Haha. Need to learn to let go and just relax! Thanks for your kind words, Ai! Yup, it's so hard to stay grounded in the present sometimes, especially when there's so much going on! Yes, it's hard but extremely important! =) Much of what's going on seems trivial when we look back, don't you think so? Wow Wow.. so many things done in the month of August. I agree with you that family is more important than other stuff such as social media, work etc. Without a happy family, you can be the richest person but you will always feel an emptiness in your heart. I am glad to see that you guys are enjoying yourselves. Never ever let others dictate your life and your family. You know what's best for them!!! You guys look so awesome and congrats on the coming of your third kiddo!!! YAY! Oh yeah, I feel VERY rich because of the kids and the family. Haha. Thanks so much for the well wishes! Appreciate it! Dear Summer, whenever I think of a role model for the modern homemaker, you would inevitably come to mind. Despite being preggy with #3, you still cook, wash, teach, play and bring them around to many fun places to keep them engaged and happy. And what a feat that you taught Angel to cycle singlehandedly in 3 sessions. I am so proud to have known you and I hope one day, I can be as hardworking and cheerful Mom as you are. It is really nice to be there for your child and witnessing their every single milestone. I think being a working parent, we tend to miss out many important events. I'm sure you have dedicated your time and put in every effort for your lovely children. The wonderful memories will stay for many years to come. I think fate decided that I should give up my job when we went overseas and I had my first kid there. Haha. But I never looked back because what I lost was nothing compared to what I gained. Yes, I know these memories are going to be soooo priceless! =) Thanks, Phoebe! Our fav ultrasound too! Hehe. Haha you are funny! Glad you have a hands on hubby who doesn't complain about the dishes in the sink!! Hehe. =) Yes, some chores are just not worth it. Lalalalala! Summer, hats off to you !! You are really amazing to be out and about despite the dipping energy level ! Nowadays, I need to find that mood to go out else I would rather stay at home and rest my back ! Same here, nowadays I told myself that I close one eye to the chores and live with the mess just to make my life easier ! Oh and, beautiful photos as always!! Thanks Jiahui!! Oh yeah I think I need the energy to keep up with these two! Haha. Still, going outdoors makes us happy and we come home to a good night's sleep so it's all worth it!! =) Thanks for the comment! HI Summer, you are amazing to be able to do so much, and letting your girls be exposed to everything as much as possible.. I'm constantly struggling and often am too tired to do anything for the kids after work that I feel guilty all the time! Looking forward to reading more adventures of yours!